Although there have been male cheerleaders on NFL teams in the past, Quinton Peron and Napoleon Jinnies are the first to perform at the Super Bowl. Sunday’s Super Bowl saw two male cheerleaders dance at the sports event for the first time ever. 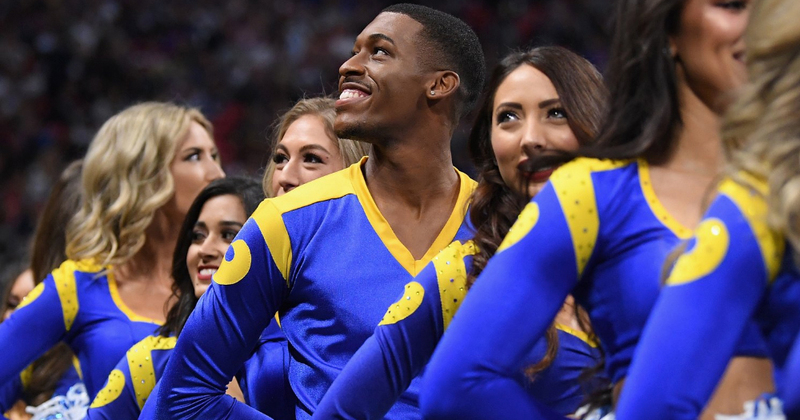 Quinton Peron and Napoleon Jinnies – who are both openly gay – joined the formerly all-female LA Rams cheerleading squad last year. There are other cheerleading teams in the NFL with male dancers, yet Peron and Jinnies are the first male cheerleaders to represent their team at the Super Bowl, one of the biggest sporting events in the US. “Whatever has been out there, we’ve been able to take it, because we know who has our backs. ‘10 months ago, we had our first interview with Good Morning America sharing our excitement with the world about being the first 2 male cheerleaders in the NFL and now we are sharing that same excitement as we become the first 2 cheerleaders to ever cheer at the Super Bowl! Even though the Rams were defeated by the New England Patriots, many Twitter users were delighted to see two male cheerleaders at the Super Bowl.